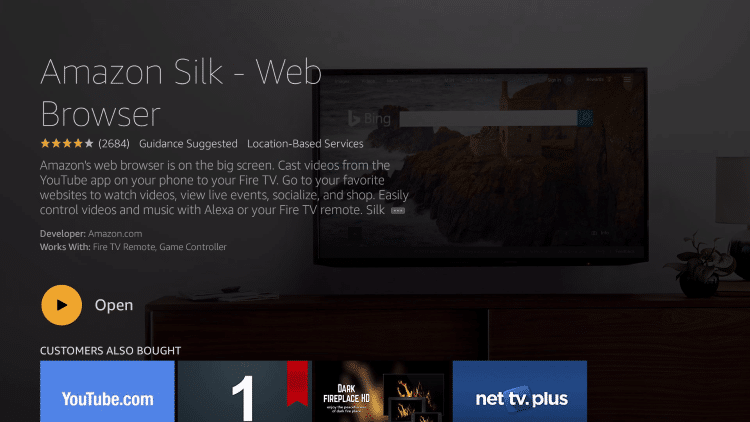 This tutorial will show you how to install a browser on a Fire TV or Stick. By installing a browser, many functions not available within this device can now be put to use. 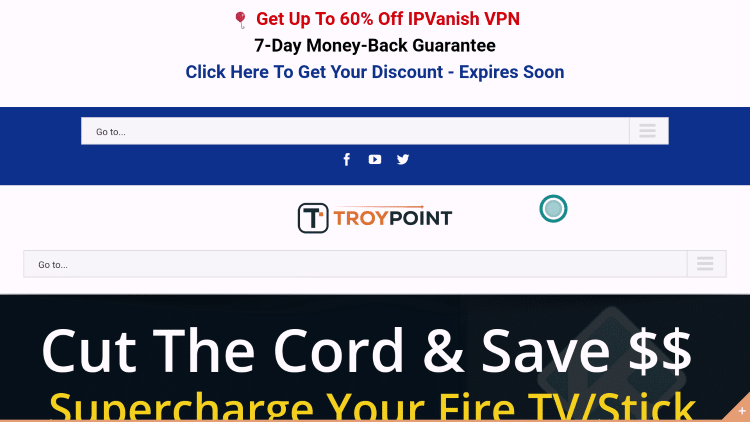 In response to my popular guide on How To Install VPN On Fire TV Or Stick, I received a ton of emails on how to install a browser since I use one in that video to verify my IP address after connecting to the VPN service. 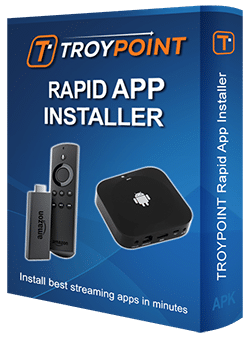 One of the downfalls of the Fire TV and Stick is that you can’t install many of the applications that you would normally be able to on an Android TV Box and this is one of them. Installing a browser will provide many benefits and one of them is the ability to download Android applications that aren’t in the Amazon Fire TV App Store. You can simply use the browser to go directly to the Web page that hosts the download file and install directly from that location. That is just one of many useful scenarios. In the past, Browsers had to be installed via side-load from the Downloader app. But now, we can install both Amazon Silk Browser and Firefox directly through the Amazon App store. However, these two browsers do not allow you to download which will prevent you from installing apks with them. My favorite browser for the Fire TV and Fire TV Stick is the browser within Downloader due to that fact that we can install Android applications through it. In the video below, I will show you how to Install Downloader on a Firestick or Fire TV which will allow you to side-load APK’s such as Cinema and more with ease. I strongly suggest that you watch the entire video below since I cover each step in detail. The steps in the text below the video are general steps and do not cover the specific details. The steps below will show you How to Install the Silk or FireFox browser from the Amazon App Store. 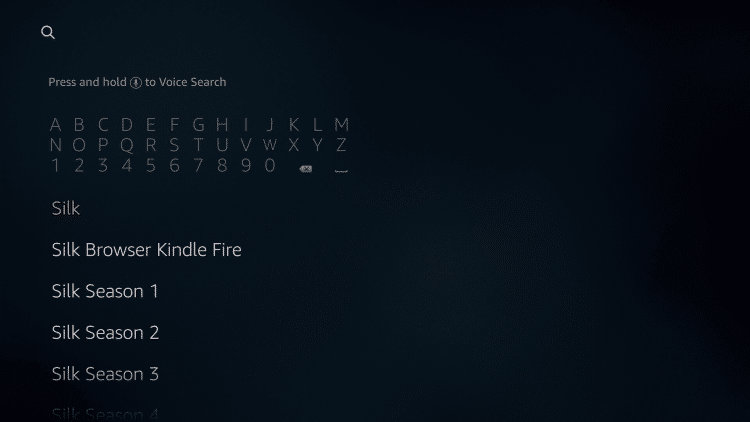 Note: The same steps can be used to install FireFox on your Fire TV device which also works great on these devices. Firefox also has an included Mouse and an awesome interface that allows users the ability to surf and search the web easily. 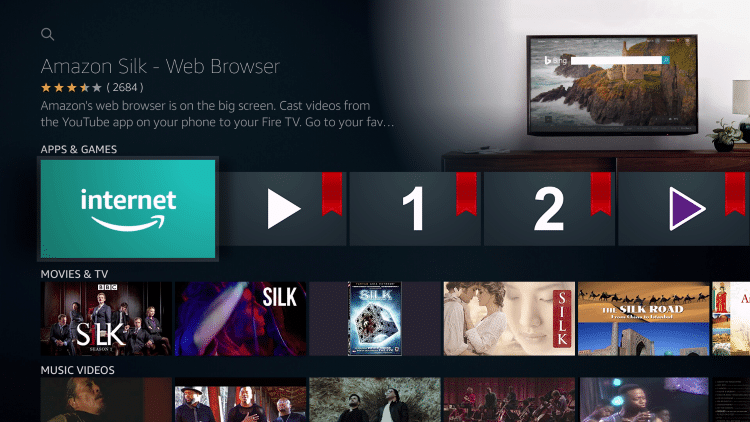 One of the most popular uses of a Browser on Fire TV or Stick is to watch Movies and TV Shows via website. TROYPOINT has created a list of the 10 Best Movie Streaming Websites which can be accessed using the Silk or FireFox Browser on your Fire TV device. Another option within Silk Browser is to add any of the above sites to your Favorites list. You can do so by clicking the Menu button on your Firestick remote (3 horizontal lines) and scrolling over to the Star to “Add to Favorites”. Your Bookmarks will then show up on the Browser home page. 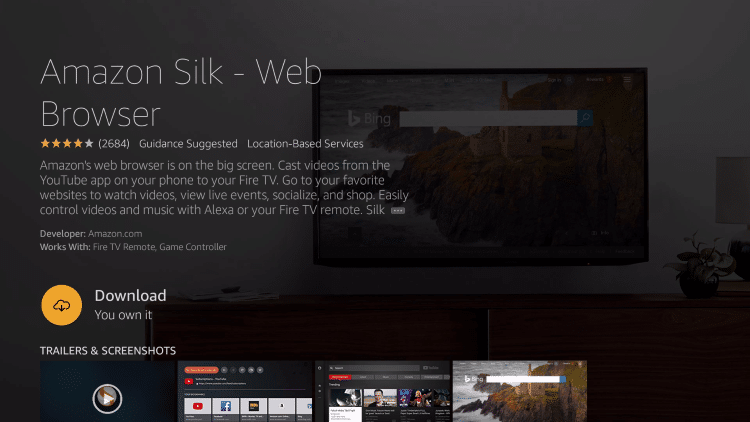 If you install browser on Fire TV or Stick, you will have the ability to stream, surf, and scour the web all from your favorite lounge chair or couch. Hi Toni, 10 Mbps and higher should be good enough for 1080p. If you want 4K, you will probably need 20. I wish I could block all youtube ads, have all but quit watching youtube because of all the STUPID annoying ads showing up on all my channels lately. Any suggestions? Do I use these same steps to download/sideload Google chrome onto my fire TV and a TV with the fire stick? No this will only install work for Firefox or Silk. Hi Julio, if you have a 2nd Gen device, this should work. I don’t think it works on 1st gen devices. Make sure your firmware is updated. Go into Fire TV settings / Device or My Fire TV / About / System update. 1st gen working on mine. Hey Linda, thanks for the nice comment! It is a fun hobby that will definitely keep you on your toes. Troy, I have the new third gen firetv. It will download chrome, but when I attempt to open it, it goes to come.com. Any suggestions on how to get it to work? 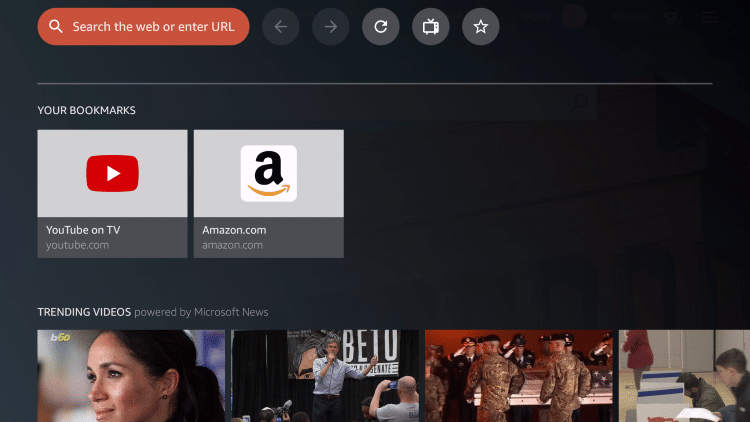 I bought new 2nd generation Fire TV Stick in August 2018, and when I downloaded the silk browser on August 31, 2018 (newest version of silk browser) I keep getting pop-up ads for opera browser… how do I get rid of this issue. I tries various ad blockers and ran malware and virus tools, and I also tries to factory reset and re-downloaded. I still get the opera browser banner type ad when using the silk browser. Any Suggestions? I downloaded the android site on amazon stick but it won’t function on my remote control. Any ideas? hello troy! I just purchased a 3rd generation firestick tv and I am trying to sideload a browser that will let me stream xfinity. I have your troypoint browser but it will not let me use xfinity stream. Do you know of any browsers that people use to watch xfinity stream?